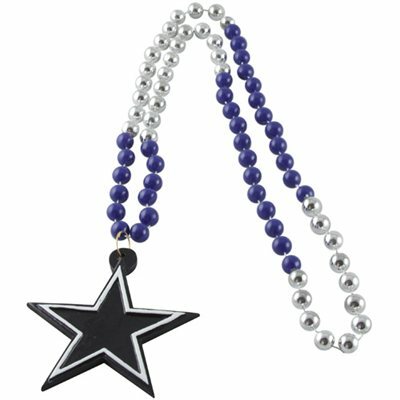 Celebrate your favorite team with this classic Mardi Gras style beaded necklace! It features beads in two team colors and a heavy duty team logo shaped medallion. The medallion is approximately 3" in size, and the necklace is 24" in length.